Good news for Ranbir and Sonam Kapoor fans. The beautiful pair is once again teaming for Rajkumar Hirani’s much-awaited Bollywood flick which is biopic on Sanjay Dutt. Sanjay Dutt biopic has already announced by the director a few days back and the movie crew is till now searching the lead cast. Finally, the most beautiful pair Ranbir Kapoor and Sonam Kapoor finalised for Sanjay Dutt Biopic as lead actors. 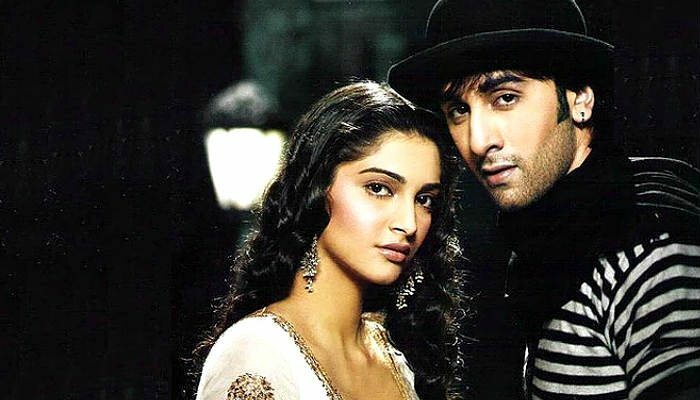 Ranbir and Sonam introduced to Bollywood with Sanjay Leela Bhansali’s Saawariya almost 10 year back. Though the film wasn’t a big commercial success at box office, it gave two rising stars to Bollywood. However since their debut the duo hasn’t shared the screen space in these ten years of their acting career and finally the time has come. Director Rajkumar Hirani has at last confirmed the reunion of Sonam Kapoor and Ranbir Kapoor in much anticipated Sanjay Dutt biopic. However, the role of Sonam is not yet mentioned officially, but closed sources are saying that probably it will be a special appearance and she will be essaying the character of one of the Bollywood actresses who date with Sanjay Dutt in the 1990’s. Another interesting update is that Anushka Sharma has also roped in for this biopic and she will be seen in a role of journalist in biopic of Sanjay Dutt. Anushka Sharma has recently worked with handsome hunk Ranbir Kapoor in Ae Dil Hai Mushkil directed by Karan Johar. However, Rajkumar Hirani has caught good artists for his film and the shooting of this biopic will commence from middle of 2017. So what you say? Is this going to be another triangle love for Ranbir?